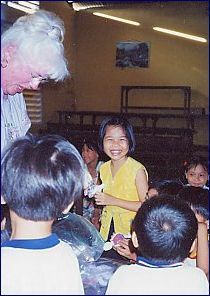 Vikky gives dolls to the handicapped children in the Vietnamese orphanages. 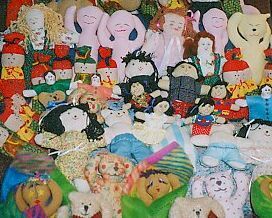 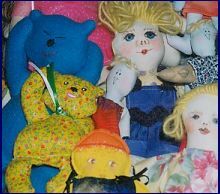 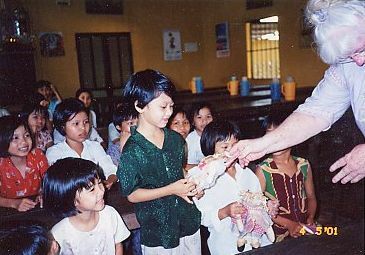 Handmade dolls given to the children of Vietnam. 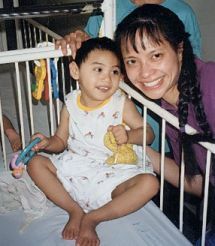 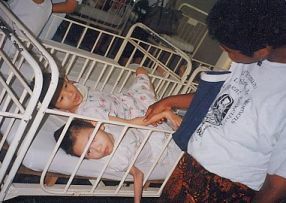 Visiting the handicapped children in the Vietnamese orphanages. 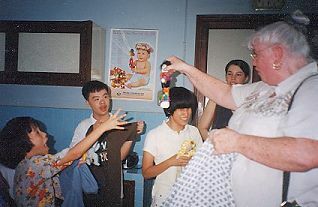 Lieu gives dolls to the handicapped children in the Vietnamese orphanage.